This shop has been compensated by Collective Bias, Inc. and its advertiser. All opinions are mine alone. #SummerCarCare #CollectiveBias . My husband and I are road trip people. 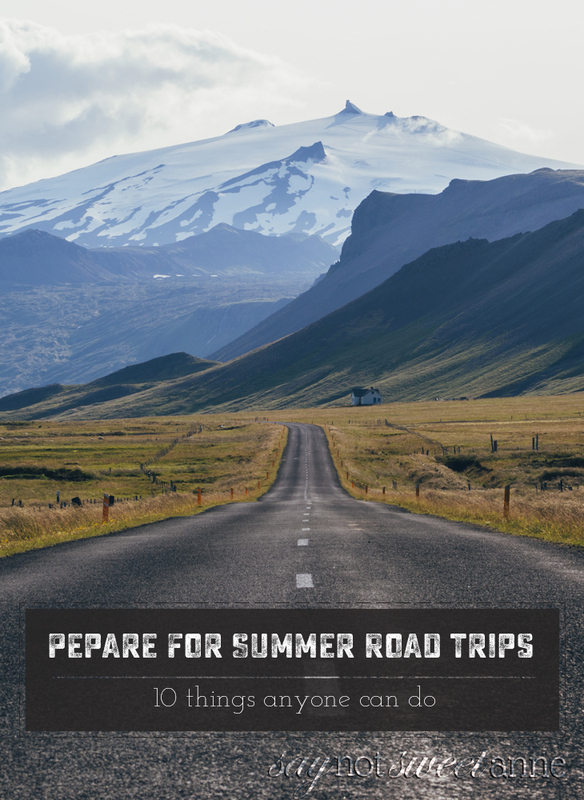 We have driven to every vacation we’ve ever taken (with the notable exception of our recent trip to Jamaica) and for many of those trips, the drive was part of the fun. In 2014 we drove our 1973 VW Beetle from our home in Michigan to the Atlantic Ocean and back over 21 days. On that trip, our 40+ year old vehicle had more than one breakdown. At the time, being two adults exploring the US – break downs were no big deal. We camped on the side of the road, made a fix and then moved on. Now we have a son, and my take on road trips has changed. Now I’m all about preventative maintenance, tune ups, and back up plans. My baby will not spend any time stranded on the side of the road if this Mama has any say in it. 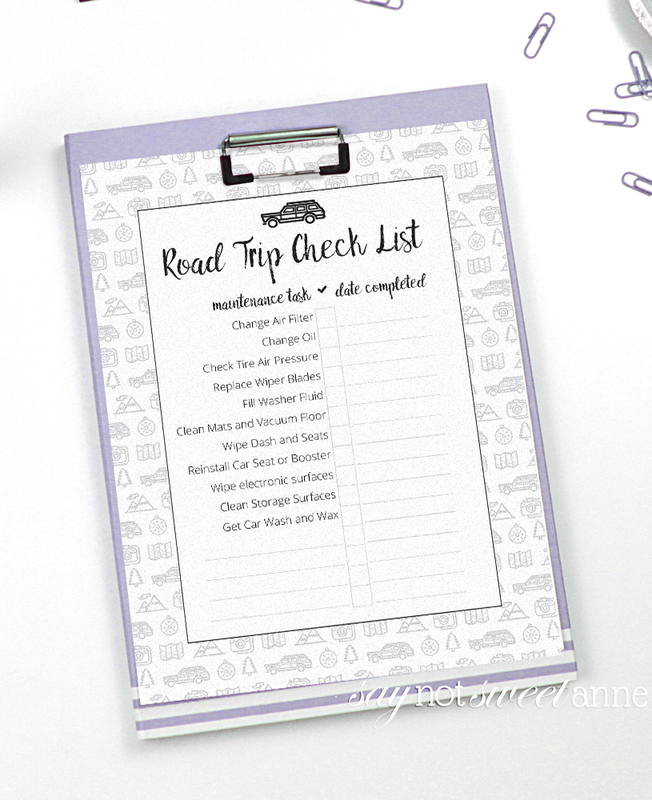 So, in advance of summer road trip season, I’m sharing my Road Trip preparation checklist. 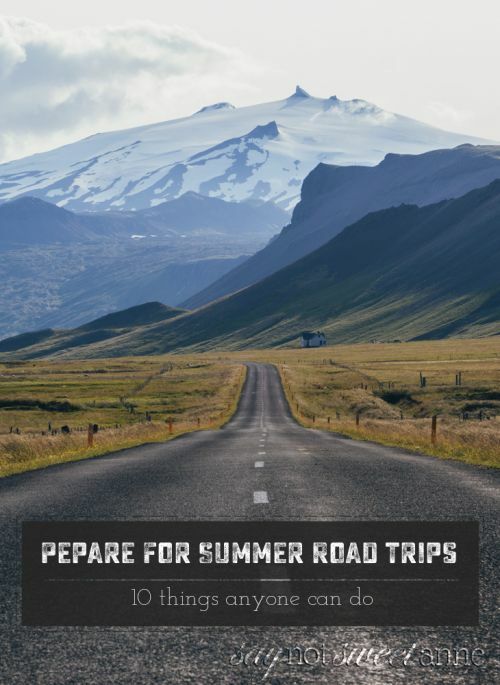 Taking the time to go over these things before hitting the open road can provide peace of mind at the least. Oh! And if you aren’t taking your littles with you, be sure to leave behind your Important Travel Information! 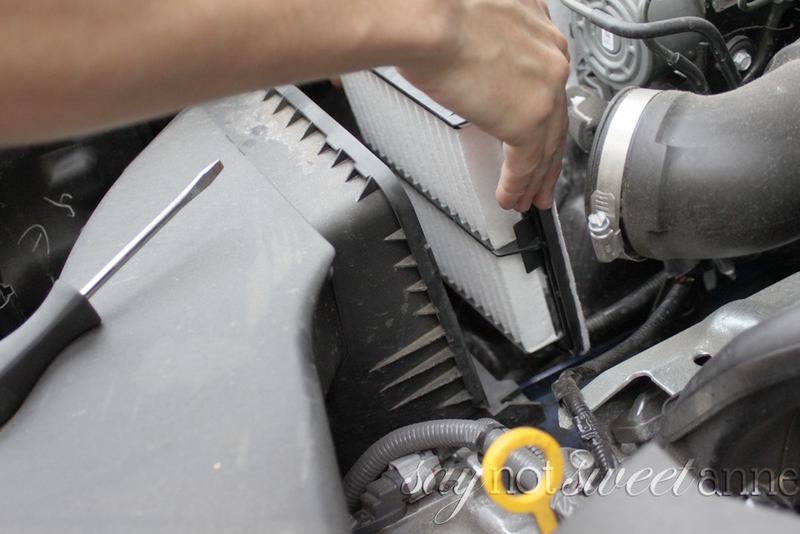 Change your Air filter. 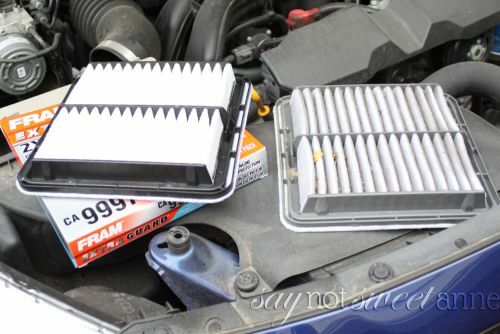 For this task, I was asked to visit Walmart and pick up a FRAM Extra Guard Air Filter and see just how easy it was to change myself. 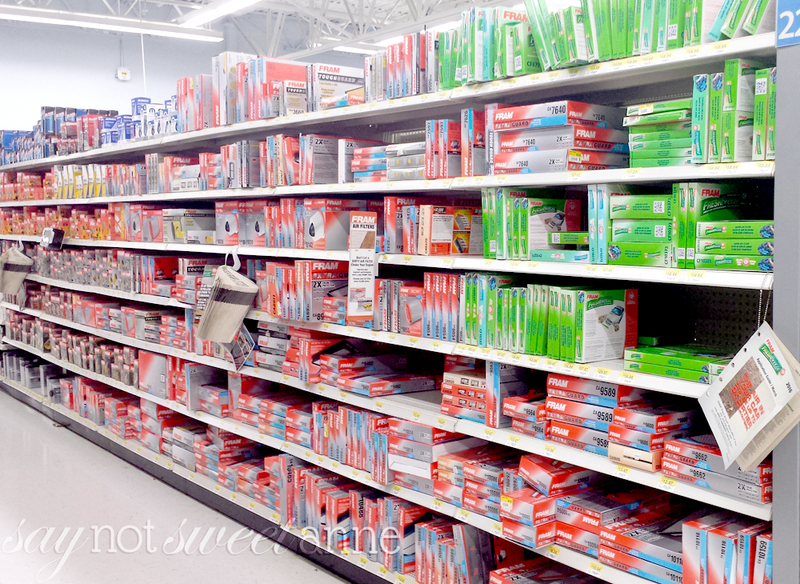 (You can look for your own FRAM at Walmart here.) Air filters are one of those easy-to-forget maintenance items that are really important, and act as your car’s first defense. Basically, they keep unwanted dust and debris out of your engine’s vital areas. Changing to a clean filter can increase engine performance, since a dirty filter restricts airflow and can reduce horsepower and acceleration. I was able to pop the hood on my 2015 Subaru Outback and change watch as my husband changed the filter in less than 5 minutes. (Hey – someone’s got to wield the camera!) Check out FRAM for yourself Here. Look how gross the old filter is compared to the shiny new one. Can you imagine all that gunk going in to my engine? Number two on the list is another regular maintenance item. Have your oil changed. Now, I realize not everyone has a mechanically inclined hubby, so I wont judge if you go to a service station for this one. Make sure to have your oil changed at the milage intervals recommended by your vehicle manufacturer, and to use the suggested oil. Fill up your washer fluid, and replace your windshield wipers don’t forget the rear wipers if you have them! Snow and ice can tear wiper blades, making them less effective in a downpour. Check your tire pressure. Did you know that fluctuations in temperature can affect the pressure in your tires? Before you start racking up the miles, you’ll want to check that each of your tires is properly inflated. Most tires have the optimum pressure written right on the side. 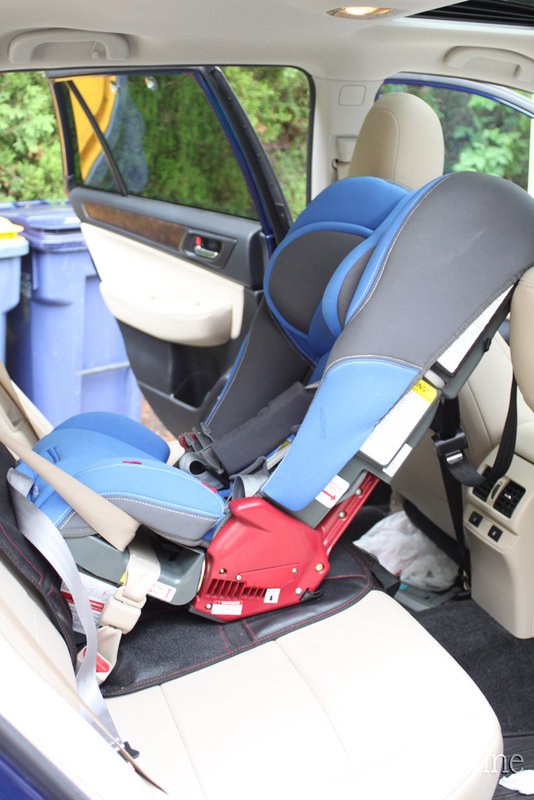 Remove any car seats or booster seats, clean under them, and reinstall securely. Over time and with wiggly children inside, a car seat can become less secure in its place. Removing and reinstalling (properly!) can make sure your littles are safe on board. Clean the floors & Seats. If you’re going to be spending hours in this car, you’ll want it to be clean. Remove the mats and clean them, vacuuming the cabin and seats as you go. Use a vinyl/leather cleaner to wipe down the dash and seats. I like to use a microfiber cloth so it catches all of the dust instead of spreading it around. For tough grime on vinyl, wipe with a vinegar + dish soap solution, then rinse with a spray bottle of water. Clean all of your electronic surfaces with a lint free cloth and some electronic spray (It is easy to make it yourself!). Make sure to spray onto your cloth, and not onto your electronics directly. Clear out the nooks and crannies. Check the glove box, the center console, and those little pockets in the backs of seats. Starting with a clean slate means more storage on the road! Give the outside a bath. 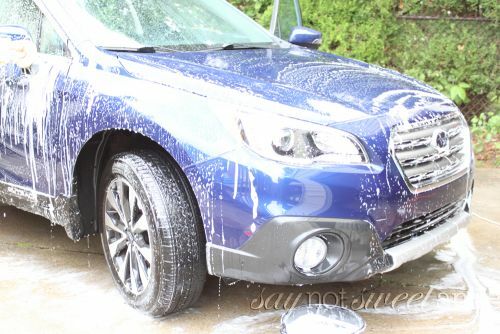 Either in your driveway with a soft sponge and a vehicle soap, or give it the works through a drive through. Starting out on a road trip always feels better in a sparkling ride! That’s it! We wen’t through all of these points while the baby was napping, which is a testament to how easily it can be done. Then – we hit the road in tribute to our Memorial Day festivities feeling car confident!! Ready to tackle this project yourself? Download the checklist and head to Walmart to get your own FRAM Extra Guard Air filter!